It will be a “Funky Weekend”, when the Former Lead Singer of The Stylistics brings his critically acclaimed full live band show to the Exmouth Pavilion. His career as a celebrated vocalist spans: The Manhattans; The Delfonics; The Moments and The Stylistics. His unmistakable silky, tenor vocals have been heard across the globe. 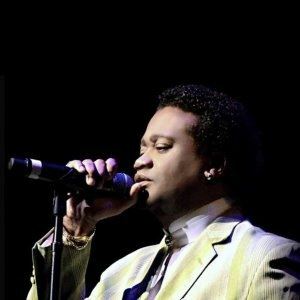 After Russell Thompkins JR. departed the group, Eban became the new Lead Singer for The Stylistics in 2000 and has toured the UK every November with the group ever since. After his tenure spanning two decades, he departed The Stylistics in January to focus on his career as a solo artist. Born and raised in Newark, New Jersey, Eban is a world renowned guitarist, composer and singer. He began playing guitar and singing with gospel groups by the age of seven. Eban was the first Lead Vocalist to be inducted in to the 98.7 Kiss FM Hall of Fame in New York City, the NAACP Hall of Fame in Atlanta, Georgia and in 1996, received a NAACP award for his accomplishments with The Delfonics. As it stands, he is the Youngest Classic Soul Recording Artist in the history of Classic Soul Music. The performance will be packed with hit after hit from The Stylistics such as: “You Make Me Feel Brand New”; “Can’t Give You Anything”; "Stone In Love With You"; "You Are Everything"; "Sixteen Bars" and “Betcha By Golly Wow”, along with some fresh originals. You can look forward to a night of old school American soul music with smooth, soulful harmonies. Let’s get ready to go back to the Good Ole’ Days!